Samsung Galaxy On7 Vs Lenovo K3 Note Vs Coolpad note 3 - Which One is Better ? After the launch of Samsung galaxy On7 at a price of 10000 Everyone is confused with the fact that which smartphone they should buy The samsung galaxy on7 Or Lenovo k3 note or the Coolpad note 3 . So just to clear the doubt of every one we are here with a Comparison of Samsung galaxy on7 Vs Lenovo K3 note Vs Coolpad Note 3 . All the Three smartphones The Samsung galaxy on7 The lenovo k3 note and The Coolpad Note 3 Comes at a Same price Tag now Choosing among them is seriously a Hard task So just to clarify The doubts and helping you in choosing the best device for you we are here with a comparison of Samsung galaxy on7 vs Lenovo k3 note vs coolpad note 3 . All the three smartphones come under sub 10k segment which is one of the most popular segment in indian market . The interesting thing about all the three smartphones is that they carry almost identical features and specifications which creates confusion in a user . So just to clear the doubts we are here with a detailed comparison among The samsung galaxy on7 vs Lenovo k3 note vs Coolpad note 3 . Starting with the Display Of All the Devices . Display Of Samsung Galaxy on7 Vs Lenovo k3 Note Vs Coolpad Note 3 which one is Best ? Starting with the Display Of Samsung Galaxy on 7 . Samsung Galaxy On7 comes with a 5.5 inch Hd Screen which is as same as Lenovo k3 note and Coolpad Note 3 . In terms of the Clarity and The quality the display is pretty good . The display of Samsung Galaxy on 7 comes with anti reflection technology which reduces the mirror image problems and makes viewing easy and Comfortable in the Sunlight . The Display is based on 267 pixels per inch ratio which is quite less for a 5.5 inch display but it is accepatble as one will hardly notice the difference between high ppi and low ppi . Coming to the Display of lenovo k3 note . Display Of Lenovo K3 note . Lenovo k3 note Comes with 5.5 inch FHD ( 1080X1920 )Display , i wont be wrong if i say that lenovo k3 note has the best display in sub 10k segment smartphones . The display of lenovo k3 note comes with many features like anti fingerprints, anti reflection , wide viewing angles and Ultra clear picture quality . The display is based on 401 pixels per inch density which is seriously awesome and more then enough for a 5.5 inch screen . Lenovo k3 note is the only smartphone in this segment which comes with a pixel density of 401 per inch . Coming to the Display of Coolpad Note 3 . Same like The Samsung galaxy on 7 and lenovo k3 note the Coolpad note 3 also comes with a 5.5 inch Hd display . 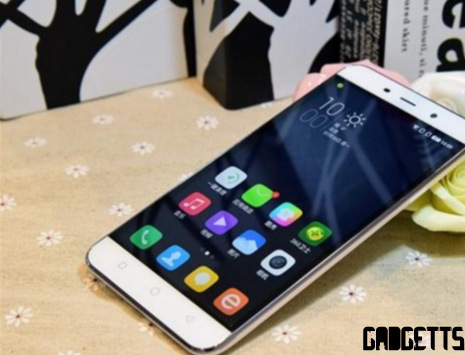 The Display of coolpad note 3 is also good but when compared to Lenovo k3 note and Samsung galaxy on7 we felt it a little bit less , The colors emitted from the screen were little bit washed out . The screen is based on 267 pixels per inch which is identical to Samsung galaxy on7 , Here again we will say that 267 pixels density is less for a 5.5 ich Hd display . So in the Display comparison of samsung galaxy on7 vs Lenovo k3 note vs Coolpad note 3 we found the Display of Lenovo k3 note The best . Winner In Display comparison of Samsung Galaxy on7 vs Lenovo k3 Note vs Coolpad Note 3 Is = Lenovo k3 Note . 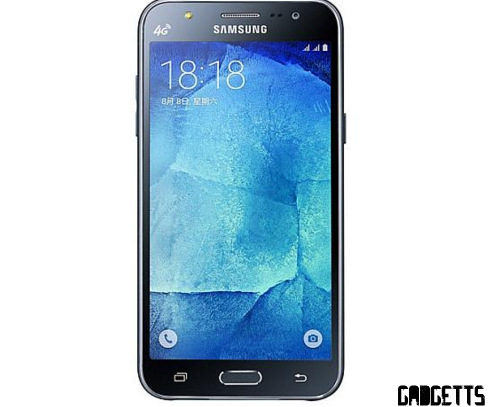 Camera Comparison Of Samsung galaxy on7 vs Lenovo k3 note vs Coolpad Note 3 which one is Good ? Starting The Comparison of samsung galaxy on7 vs Lenovo k3 note vs coolpad note 3 with the camera of Lenovo k3 note . Lenovo k3 note comes with a 13 mp 1080n Hd camera which is seriously amazing , I have personally tested the camera of lenovo k3 note and i must say that this is one of the best camera i have ever seen . The camera of Lenovo k3 note is capable of capturing images in just a millisecond , Not like other camera's which takes almost 3-4 seconds to capture a images . The camera of lenovo k3 note comes with many extra ordinary features like beautify , Auto color , auto contrast and many more features which makes it a true 13 mp Hd camera . Coming to the front 5 mega pixel camera Of the lenovo k3 note , The lenovo k3 note comes with a 5 mega pixel camera which comes with a Age detecting and face detecting feature which can tell if a user is laughing or happy or sad . Overall the image and selfies captured from the front 5 mega pixel selfie camera are pretty decent . Overall i am impressed with the camera of Lenovo k3 note . Coming to the camera of Samsung galaxy on7 . Samsung Galaxy on7 comes with a 13 mega pixel 1080 p camera which supports video recording at 30Fps rate . Samsung Cameras are always awesome no matter it is a 3 mega pixel or 13 mega pixel and the same we can expect from the camera of samsung galaxy on7 . The camera comes with autofocus, face detection , age detection and many more new generation features . Coming to the front 5 mega pixel camera of Samsung Galaxy on7 ,As i told earlier that samsung cameras are awesome no matter it is small or big . The on7 comes with a 5mega pixel camera which is perfect for capturing selfies . Coming to the camera of Coolpad note 3 . Camera comparison of Samsung Galaxy on7 vs Lenovo k3 note vs Coolpad note 3 . Coolpad note 3 also comes with a 13 mega pixel rear camera with 1080 Mp resolution which is also cpable of recording videos at 30fps . The camera of Coolpad note 3 is a average camera you can click good images but not detailed and vibrant images . Camera comparison of Samsung Galaxy on7 vs Lenovo k3 note vs Coolpad note 3 winner is = Lenovo k3 note . Hardware Comaprison Of Samsung Galaxy on7 vs Lenovo k3 note Vs Coolpad Note 3 . Starting with the Hardware Of Coolpad Note 3 . Coolpad Note 3 Comes with a 1.3Ghz Octa core cortex a53 processor , Octa core means this smartphone comes with 8 cores which are clocked at 1.35ghz each . Coming to the ram part , This smartphone is loaded with 3gb Ram which makes it the one and only smartphone in sub 10k segment which comes with 3gb ram . Coming to the performance of the smartphone , we have not used the smartphone for a long period of time but if we see specification then one can easily expect pretty good performance from Coolpad note 3 . The second best thing about Coolpad note 3 is its Fingerprint sensor , Just for your information Coolpad note 3 is the only smartphone in The sub 10k and sub 15k Segment which comes with a Fingerprint touch id support . Overall the specifications of the Smartphone impressed us . 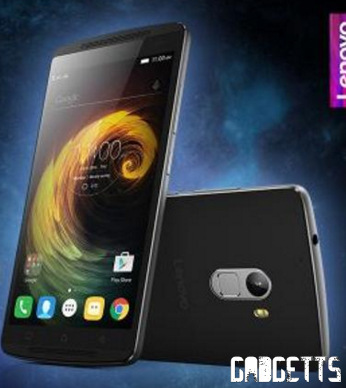 Lenovo k3 note Comes with a 1.7ghz octa core coretx a53 processor , Same here lenovo k3 note comes with 8 core but this time each core is clocked at 1.7ghz . Coming to the ram part , Lenovo k3 note comes with a 2gb ram which is identical to xiaomi's redmi note , Yu yureka , yureka plus . Coming to the performance , i have personally used Lenovo k3 note and i never felt any lagging or hanging issue which points that lenovo k3 note is a perfect handset for multitasking and gaming . There is no fingerprint sensor in lenovo k3 note , But one thing which makes it a unique handset in this price tag is a Ceramics speaker provided at the back of the Lenovo k3 note which is icing on cake for music lovers . Samsung Galaxy on7 comes with a 1.2ghz quad core processor which means samsung galaxy on7 comes with only 4 cores which are clocked at 1.2ghz . coming to the Ram , Samsung Galaxy on7 comes with only 1.5gh of ram out of which only 700-900 mb is for user . Coming to The performance of the smartphone , After seeing the specifications it is clear that this smartphone is not made for hd gaming and heavy multitasking However a little bit of multitasking and minor gaming can be done without any problem . There is no extra function and neither any fingerprint sensor provided with the smartphone . Coming to the result of The Hardware Comparison of Samsung galaxy on7 vs Lenovo k3 note vs Coolpad note 3 . There is a Clash between the Lenovo k3 note and coolpad note 3 , i know that coolpad has got extra ram and a fingerprint sensor but the reason behind declaring lenovo k3 note the equal winner will be reveled in the next section . Coming to the most important feature which measures the performance of the phone and tell us in score - The Antutu benchmark . Antutu Benchmark comparison of Samsung Galaxy on7 vs Lenovo k3 note vs Coolpad note 3 . The Samsung Galaxy on7 scored a Score of only 21414 in antutu benchmark test which is a average scoring . Coming to the Antutu benchmark score of Coolpad Note 3 . The Coolpad note 3 Scored a score of 33452 in antutu benchmarks test which is a good and awesome scoring . Coming to the Antutu score of lenovo k3 note . Lenovo k3 note scored a whooping antutu score of 46081 which is the best among Coolpad note 3 , samsung galaxy on7 and not only these but also the best score in the sub 10k segment . And the score of the antutu benchmarks was the reason why we declared lenovo k3 note as the equal winner . So The winner in the Antutu benchmark comparison of Samsung galaxy on7 vs Lenovo k3 note vs coolpad note 3 , Lenovo k3 note is the winner . Conclusion - Which smartphone among the Samsung galaxy on7 , Lenovo k3 note and the Coolpad note 3 should i buy ? If you are brand Concerned then go with samung galaxy on7 , But if you want performance and heavy multitasking then Go with Lenovo k3 note . We are not saying that Coolpad note 3 is not a good device but as the company is itself new in india so we have to see all rounding performance from the performance to after sales service . Here is a Way i will Arrange the Phones by their Performance where first one is best and last one is not good . Lenovo k3 note > Coolpad Note 3 > Samsung Galaxy on7 . So this was our comparison of Samsung Galaxy on7 vs Lenovo k3 note vs Coolpad note 3 .